The Gazelles Track Club has been serving the Northeast Tarrant County, Texas area since 1996, providing a safe, wholesome and fun place for kids ages 5 to 18 to train for track and field each summer. 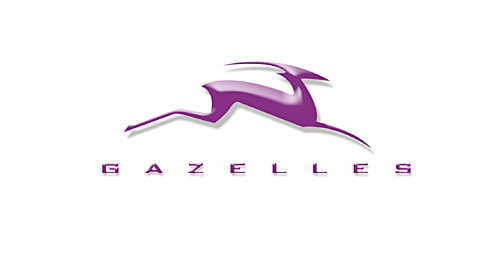 The Gazelles are members of TAAF (Texas Amateur Athletic Federation), USATF (USA Track and Field) and AAU (Amateur Athletic Union) and provide access to summer meets sponsored by each of these track and field governing bodies. The Gazelles Track Club 2019 season is about to begin! The Grapevine practices will begin Monday, May 13th from 7:00 PM until 8:30 PM at the Heritage Middle School track, located at 5300 Heritage Avenue in Colleyville, behind the high school off Highway 121 between Hall-Johnson Road and Glade Road. Practices will be held on Monday and Thursday evenings from 7:00 PM to 8:30 PM until July 8th. The morning workouts begin on June 4th and meet each Tuesday and Wednesday morning from 8:15 AM to 9:30 AM until July 10th. The Justin practices begin on May 14th at Northwest ISD's Texan Stadium. The Justin practices will be held on Tuesday, Wednesday and Thursday evenings from 7:00 pm to 9:00 pm. A parent meeting will be held on Monday, May 13th at 7:00 PM at the Heritage Middle School track during the introductory practice. During the meeting, we will present information about the Gazelles, schedules, coaching and training philosophies, registration fees and ordering team uniforms. The first practice session will be held during this meeting and cover the warmup and stretching routine used throughout the season, as well as an introduction to proper running form and technique. The summer track meet schedule has not been set by the region, and last year's dates are listed below. All the regular circuit track meets before Regionals and State will follow the same schedule, where both running and field events begin at 8:00 am on a rolling schedule. The link to the TAAF Region 4 website is http://www.taafregion4.org/Region_4_Track.html . Athletes should plan to arrive at the meet approximately 45 minutes prior to the first event they wish to participate in. If you and your child do not know what events they would like to participate in, just come at 8:00 AM and we will send them into running events as they are announced. Your child needs to be registered with TAAF prior to participating in the circuit meets, but not pre-registered for any events at the meet. Pre-registration is only required for the Regional meet. Since there is no way to determine exactly when an event will begin, it is best to arrive at the beginning of the day by 8:00 AM. Simply purchase a plastic wristband for $5 at the front gate for your child to participate, and find other Gazelles families to set up camp with. Coaches will be helping athletes on the track, and it is very important for parents to listen to the announcements about upcoming events, and encourage the Gazelles athletes who are interested in each event to begin warming up and reporting to the check-in area near the starting line. We want to encourage the young athletes to try different events in these practice meets, as there are no 'wrong' choices on events. Simply choose an event and do it to the best of your ability. Most meets limit the kids to 3 or 4 events per day. The 3,200 Meter Run for ages 14 and up is run at 8:00 AM. TAAF rules govern what events kids in each age group may participate in. Look over this list and let your child(ren) enter events you think they might like at the circuit practice meets. This allows them to try out an event before committing to it by registering for the Regional Meet. - 18 & Under - Born in 2000, 2001 and those athetes who are still 18 on August 1st, 2018 and have not competed at the college level in any Track & Field competition. The Gazelles will take the day off for Independence Day on July 4th. The 2018 Gazelles Track Club season is here. As we have done the past few season, we are providing your child's track meet results online. Simply click on the link below and view the results. If you have meet results for your child that are not captured in this software, please email them to me and John St. John at JVStJohnTexas@yahoo.com. We want this to be as complete as possible. We recommend that each parent purchase an inexpensive stopwatch to time their child at each track meet. Write down your child's time, event, and age division and turn it in via paper or email to John St. John. We will update the website with the latest results and allow you to track, graph and compare your child's improvement. Cory Carter, a longtime member of the Grapevine Gazelles Track Club, competed in the Games of America in San Diego and placed 4th in both the triple jump and the 400 meter hurdles. Carter, an incoming sophomore at Trinity High School, also placed 11th in the 400 meter hurdles and 29th in the triple jump at the USA Track and Field National Junior Olympics in Wichita, Kansas the week before. Carter recorded season bests of 40’ 7 1/2 “ in the triple jump and 58.97 seconds in the 400 meter hurdles. The TAAF State Meet was held July 28th through July 31st at Baylor University in Waco. The Gazelles qualified 11 athletes in 14 events for the state meet. The team was led by incoming Grapevine High School sophomore Emily Hart, who placed 3rd in the 100 meter hurdles with a personal best time of 15.67. T.J. Shelton placed 3rd in the high jump, and 9th in the long jump. Rachel Sutliff placed 5th in the 800 meter run and Cassidy Parshall placed 8th in the 1,600. Zachary Brown placed 12th in the 80 meter hurdles, and Jerome Lewis and Alyssa Molina each placed 13th in their age divisions in the long jump. Landon Samson placed 14th in the high jump. The Grapevine Gazelles Track Club began in 1996 and just completed their 16th season. The Gazelles have crowned numerous State and National champions since their inception, and 23 former Gazelles have earned college athletic scholarships. The team has approximately 60 team members each season. Cory Carter, a longtime member of the Grapevine Gazelles Track Club, has qualified for the USA Track and Field National Junior Olympics in Wichita, Kansas. Carter, an incoming sophomore at Trinity High School, earned his way to the national meet by jumping 40’ 7 1/2 “ in the triple jump and running the 400 meter hurdles in 58.97 seconds at the Texas State Meet. Carter also qualified for the TAAF State Games of Texas in the triple jump and 300 meter hurdles, where he is the defending state champion. The TAAF State Meet will be held July 28th through July 31st at Baylor University in Waco. In total, the Gazelles, qualified 11 athletes in 14 events for the state meet. They include incoming sophomore at Grapevine High School, Emily Hart, who won the 100 meter hurdles after qualifying for the UIL Regional meet earlier this spring. Austin Welch, an incoming senior at Colleyville Covenant Christian Academy, placed 2nd in the long jump after earning a silver medal at the TAAPS State meet in May. Zachary Brown qualified in the 80 meter hurdles. Jerome Lewis, Alyssa Molina and T. J. Shelton earned their way to State in the long jump, with Shelton also going in the high jump with teammate Landon Samson. Cassidy Parshall qualified in the 1,600 meter run, with Rachel Sutliff and Joelle Turney punching their tickets in the 800 meter run. Turney also qualified in the 400 meter dash. The Grapevine Gazelles Track Club was well represented during the TAAF State Games of Texas, held August 5th through the 8th at Baylor University in Waco, Texas. The Gazelles were led by 14 year old Cory Carter, who became the latest in a distinguished list of State and National Champions for the club since 1996. Carter won the 300 meter hurdles in a near state record time of 42.33, with a winning margin of over half a second. Carter also placed 3rd in the triple jump with a leap of 39' 2.5" (a 2' 8" personal best), and 12th in the long jump. Jerome Lewis placed 4th in the 14 year old boys long jump with a leap of 18' 5", while Cassidy Parshall placed 8th in the 12 year old girls 1,600 meter run with a time of 6:05.21 and 14th in the 800 meter run. Teammate Rebecca Moore placed 14th in the same race, and Reid Harrison-Ducros placed 19th in the 14 year old boys 800 meter run. Most of the Gazelles were in the youngest portion of their age bracket, and will return to the same division next year with high hopes. The entire Grapevine Gazelles Track Club had an outstanding season; training hard, improving times and distances, and enjoying success at meets. Thank you to all the young athletes, their parents and the Gazelles coaching staff. See you next season. The Grapevine Gazelles will hold a team party on August 22nd to celebrate the end of a highly successful season and give us one last hurrah before we all go our separate ways and get busy with school. Details about the party have been emailed to everyone two weeks ago, and are also listed below. We hope to see everyone at this fun event! Come and go pool party! Where: 1150 Silver Lake Dr.
RSVP: Reply to Angela@AngelaGair.com with the number in your party and what you are bringing; preferably by August 19. The party will cap an outstanding season where the Gazelles sent 13 athletes to the State Games of Texas in San Antonio and captured many State and Regional Meet awards. The coaching staff wishes to express our gratitude for all the effort, time and sacrifice of the athletes, their parents and families that helped make this season of the Grapevine Gazelles Track Club a truly memorable one. See everyone next May 11th, and have a great school year! The Grapevine Gazelles are holding an end-of-season field trip to the U.S. Treasury, hosted by long time Gazelles coach Larry McKenzie. Athletes and their parents will see money being made and tour the plant. Coach McKenzie will meet everyone at the front gate entrance leading into the track at Colleyville Heritage High School at 4:00 pm on Monday, August 13th. He will lead a caravan of cars to the U.S. Treasury for the one hour tour, which is open to friends and relatives of Gazelles athletes as well. The purpose of this event is to celebrate the end of a highly successful season. The team capped an outstanding season where the Gazelles sent 12 athletes to the State Games of Texas and captured many Regional Meet awards. The coaching staff wishes to express our gratitude for all the effort, time and sacrifice of the athletes, their parents and families that helped make the 12th season of the Grapevine Gazelles Track Club a truly memorable one. See everyone next May, and have a great school year!